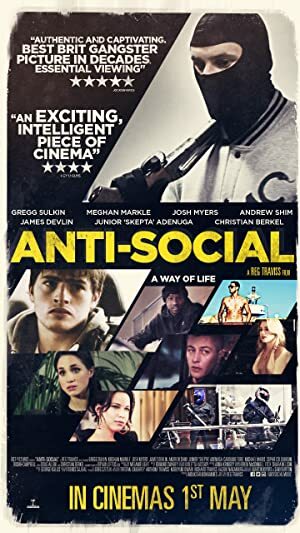 Anti-Social (2015) – What's New on Netflix Canada Today! Dee is an anarchic street-artist confronting the system, Marcus is an armed robber on a jewellery store crime-wave. For the two brothers, being Anti-Social is a way of life! Bound by an unyielding family loyalty they relentlessly carve their respective paths – and Dee finds acceptance in London’s art-scene, while Marcus’ smash-and-grab heists amass him a small fortune and his aspirations escalate. But when an ultra-violent gangland war erupts, Dee is suddenly forced to remember who he is – as Police and rival criminals close-in on the family and Marcus’ gang defiantly prepare to take down the largest target of their careers.